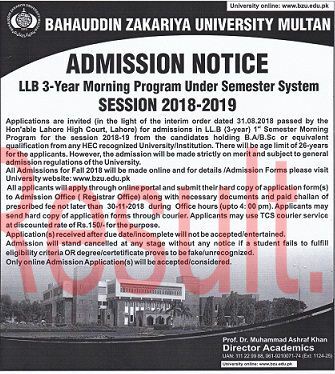 Baha Uddin Zakariya University Multan has mandate to impart high quality education to the students at the bachelor, master, MPhil and PhD programs. 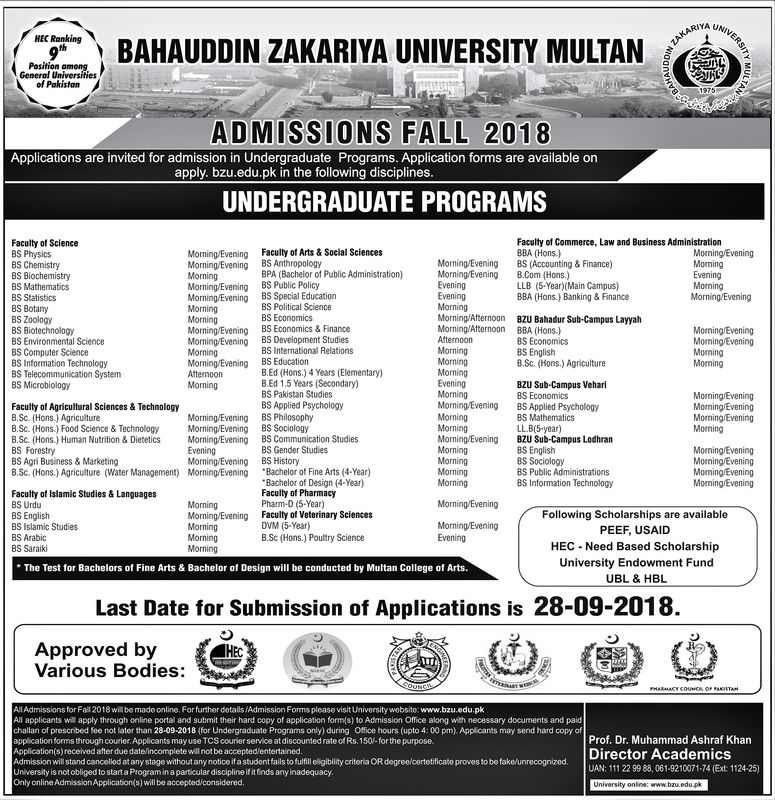 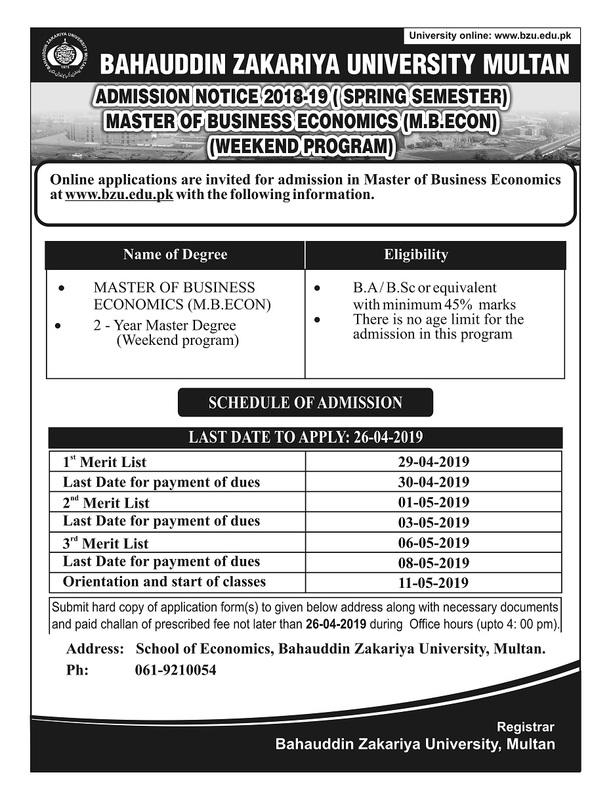 The admission department of Baha Uddin Zakariya University Multan offers the admissions to the students in the relevant disciplines and the students get admission through download the admission forms and they complete their education. 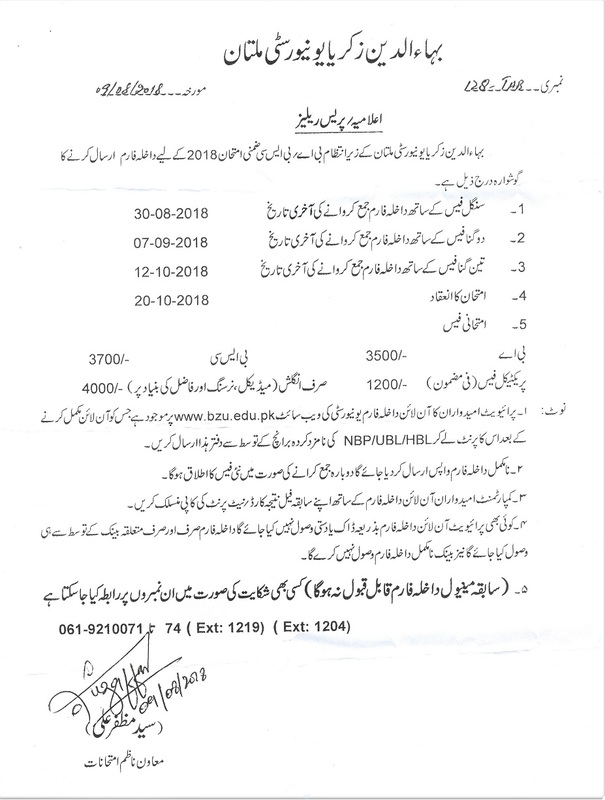 BZU University grants admissions to the students and after announcing the admissions to the students online and through the publication of admission notices. 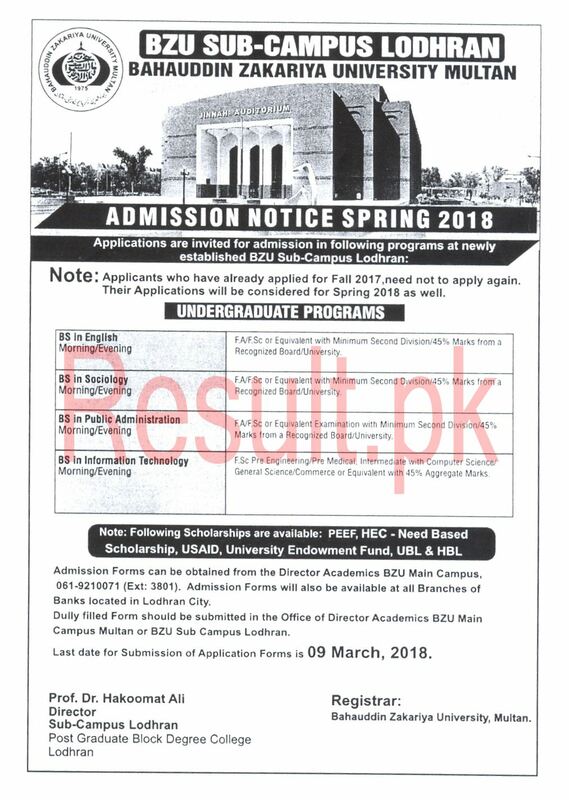 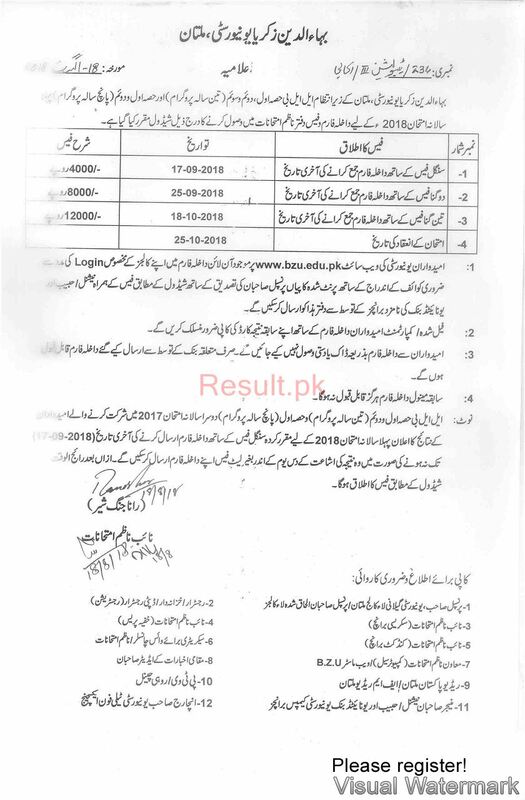 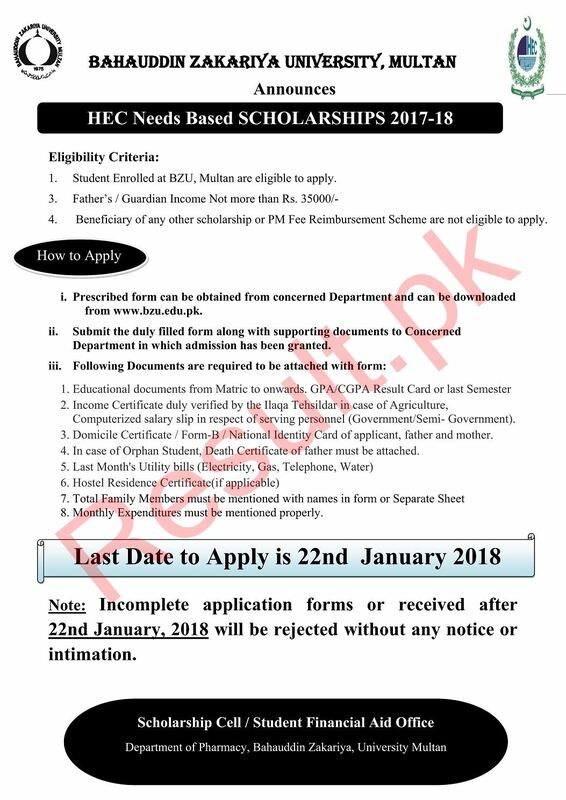 The candidates are asked visit the site of BZU Multan to check the admission process and they can apply for the admission in their respective disciplines. 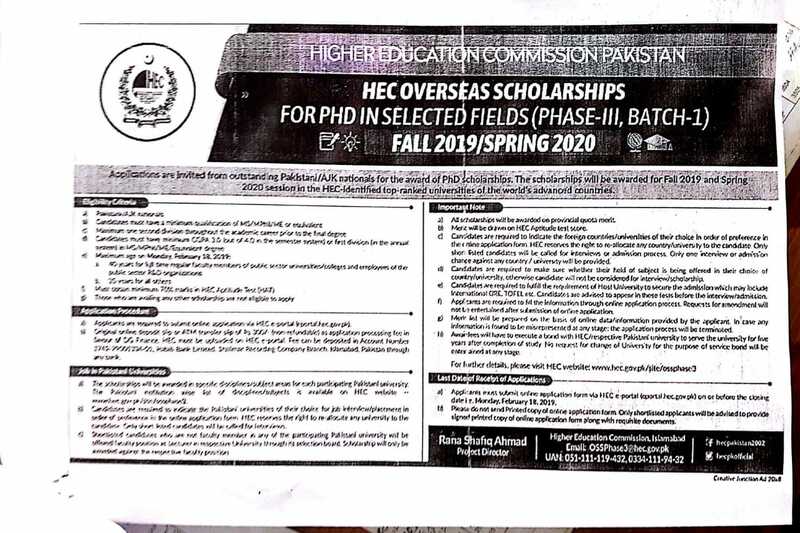 The candidates can get the admission to get quality education and it is good source for the students living in Multan. 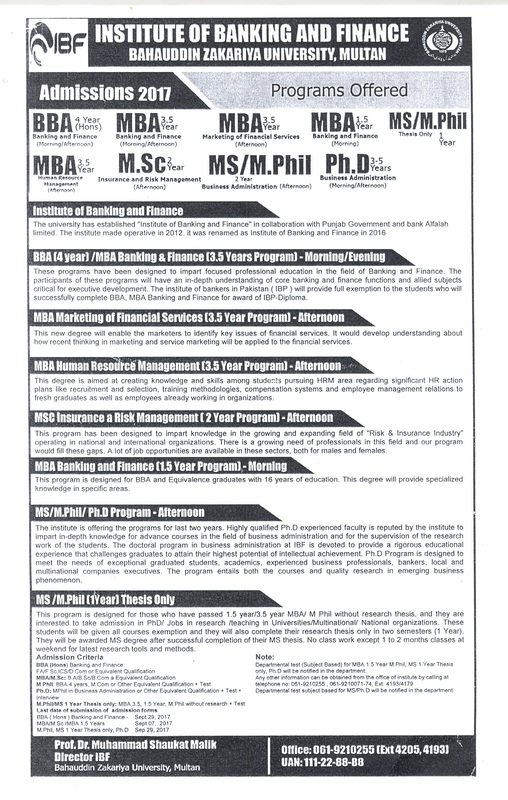 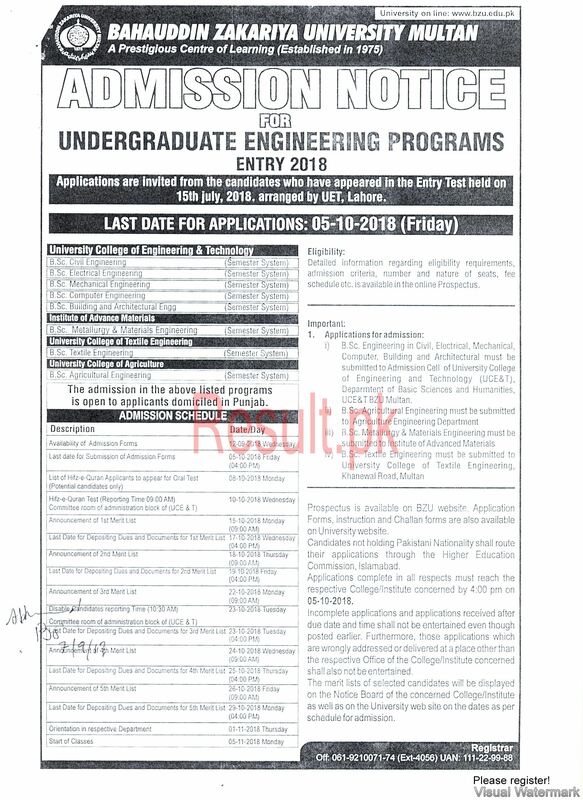 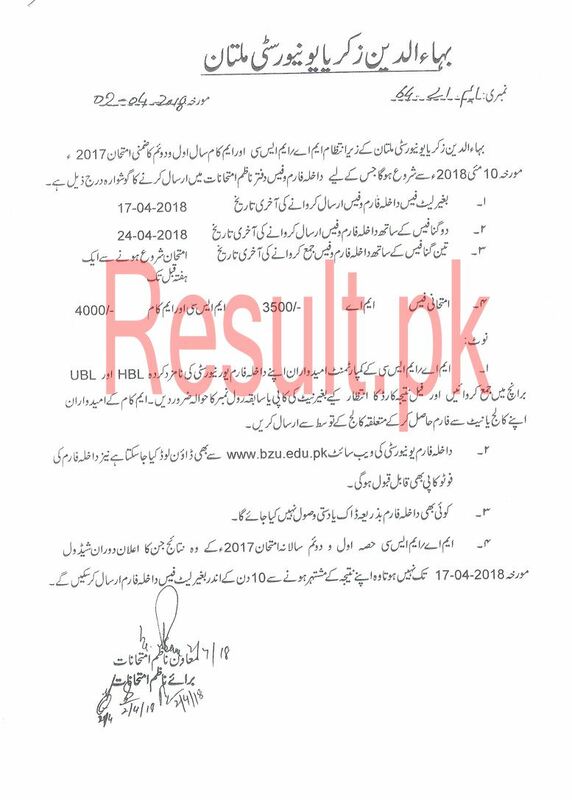 There are some of the colleges affiliated with BZU University Multan and the students appear in the BZU BA/BSc and MA/MSc class annual exams. 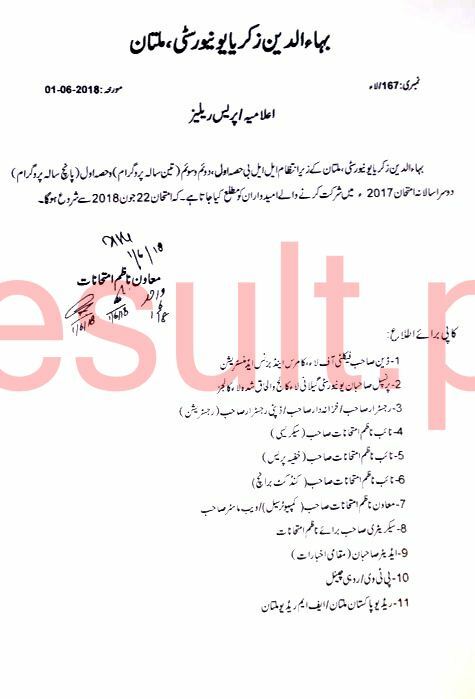 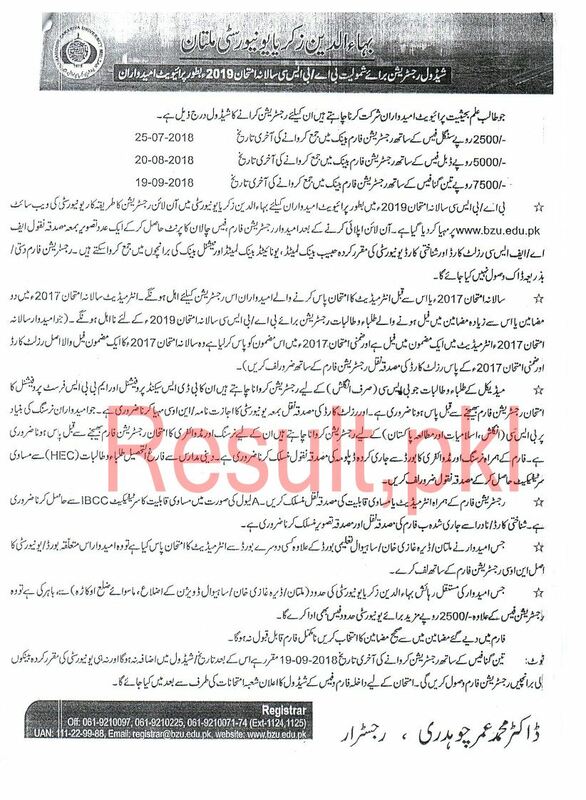 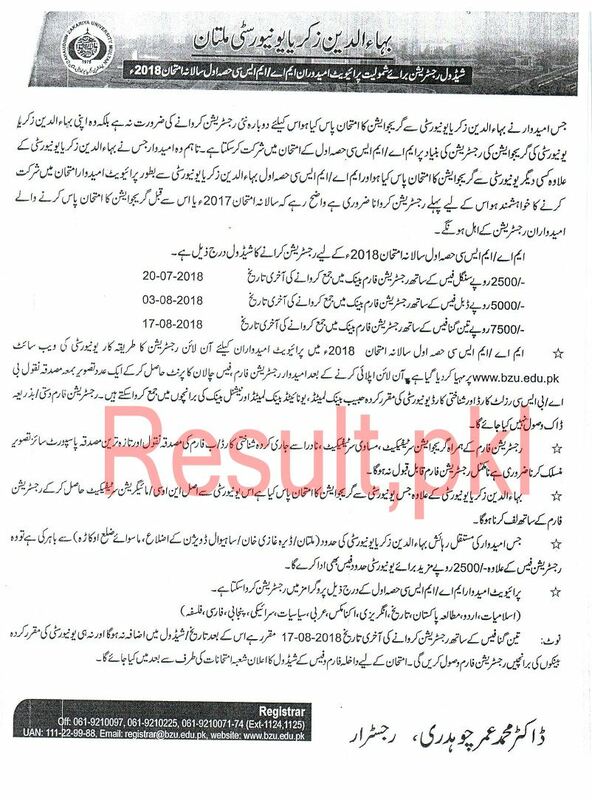 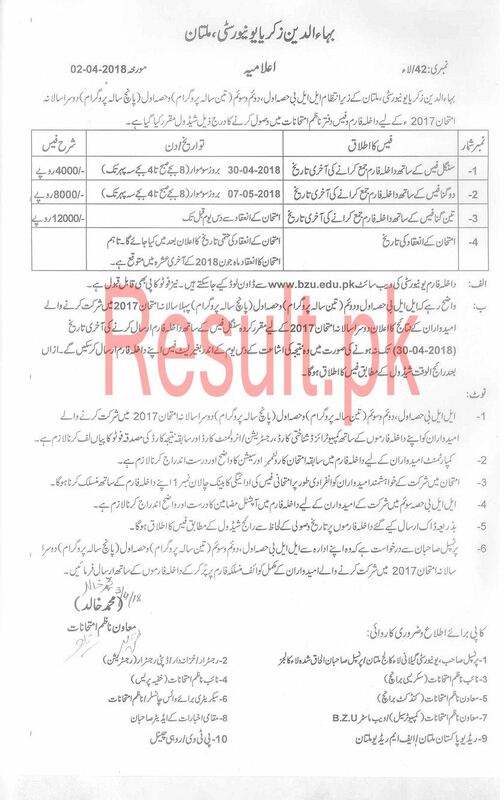 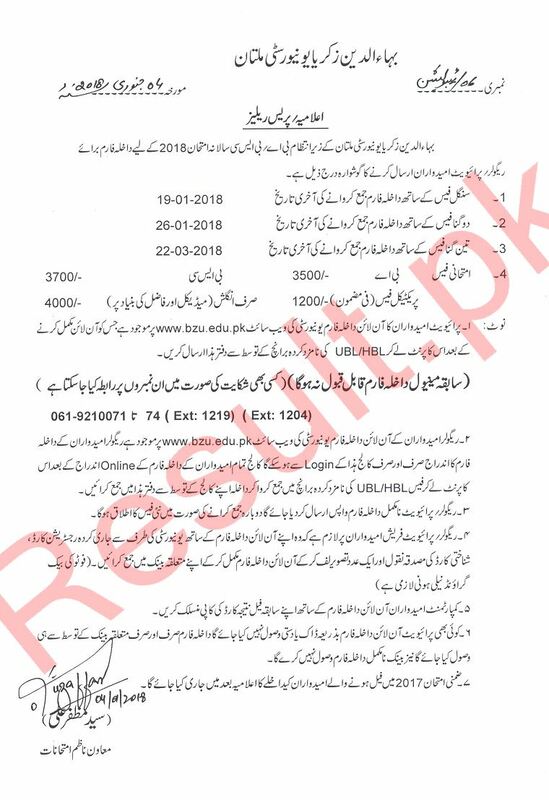 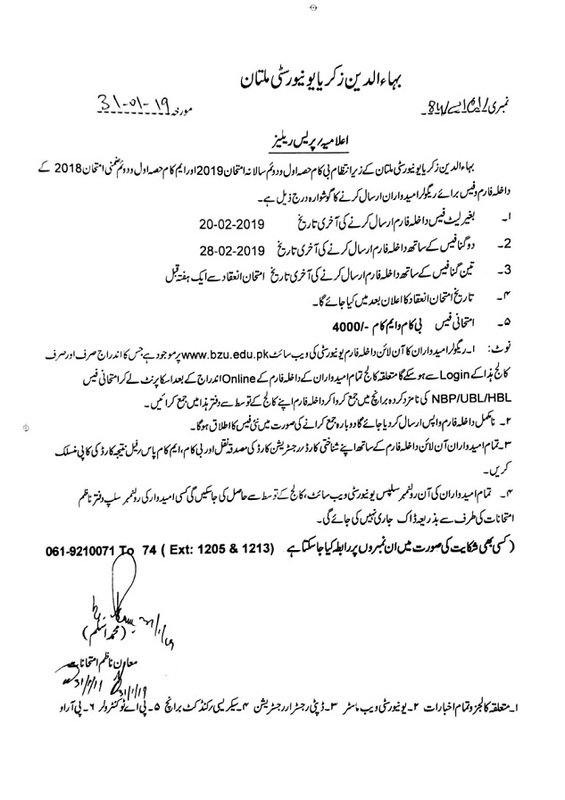 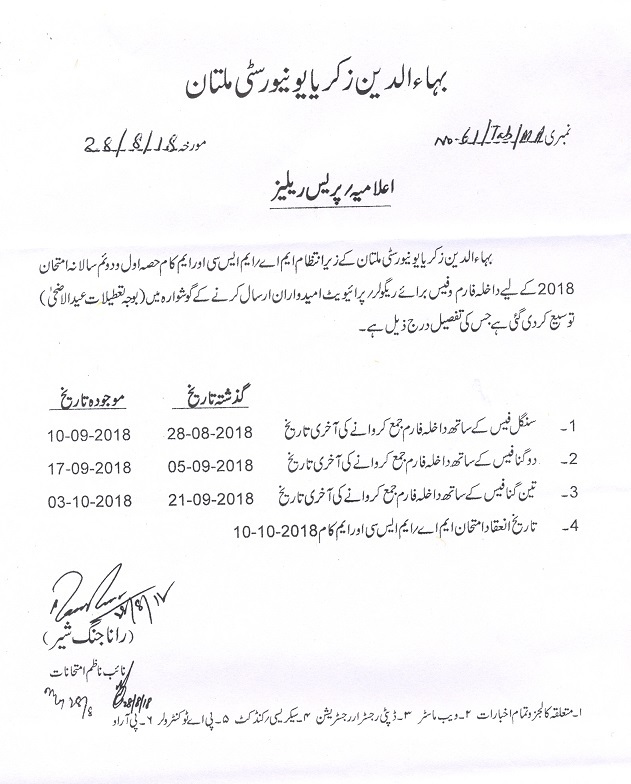 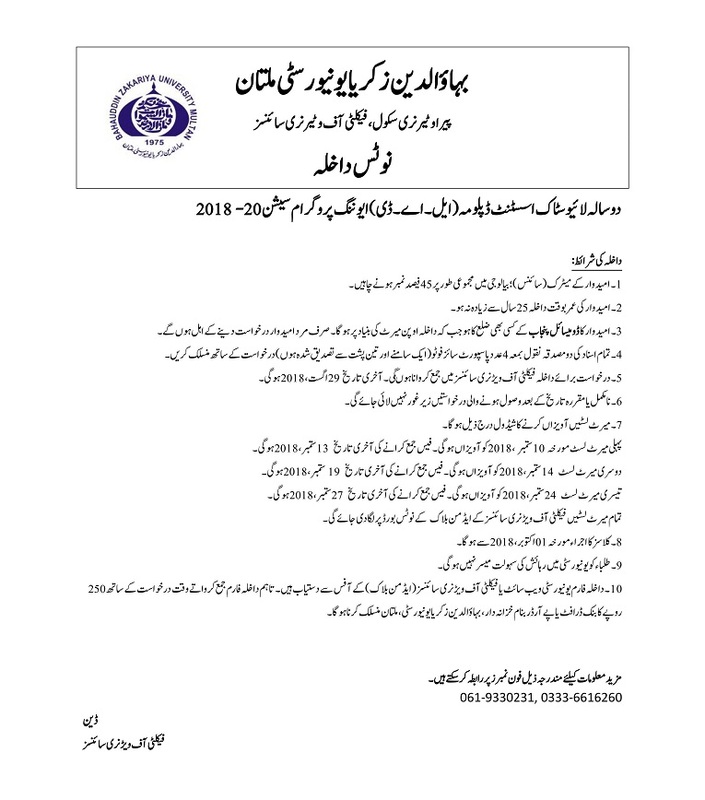 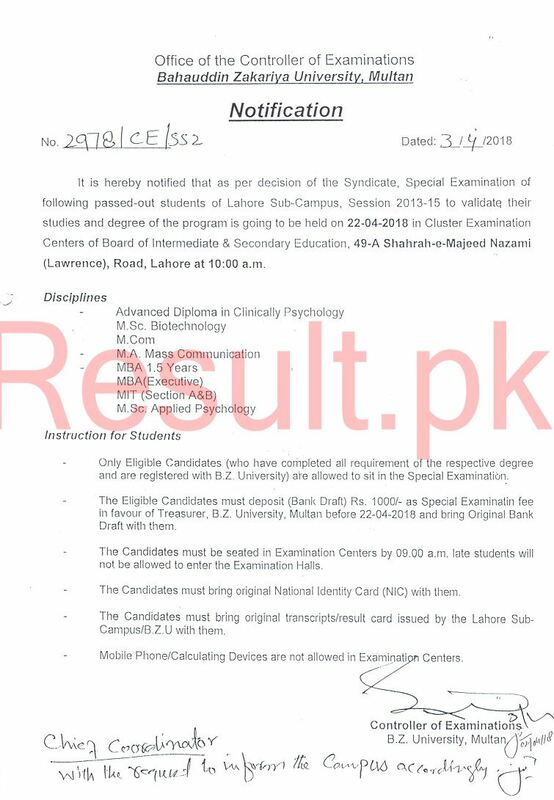 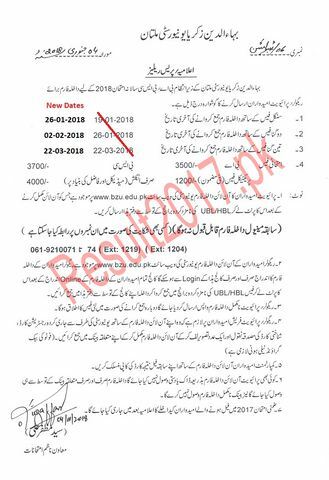 The exams department of BZU Multan announces the date of the exams after ending of the academic year. 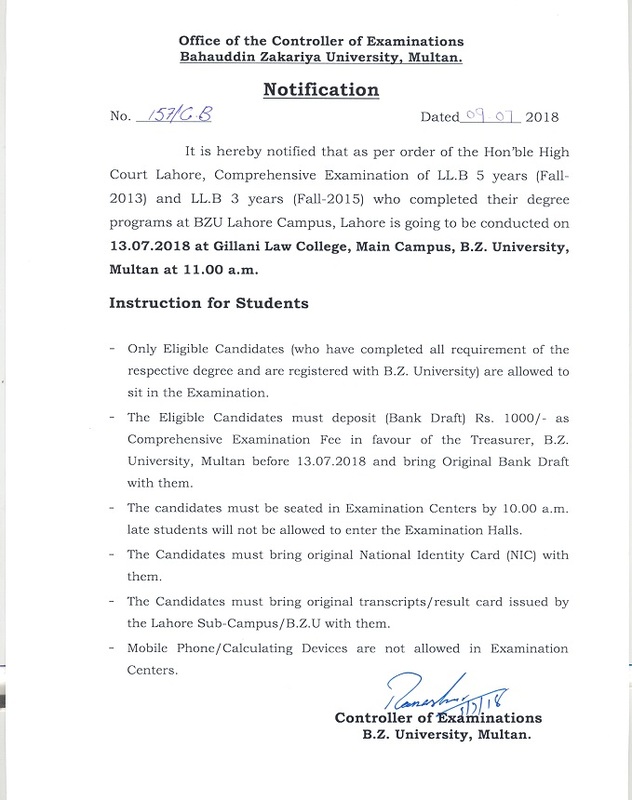 The students need to complete the eligibility criteria to get admission in the university and they will have to pass the written exams and also appear in the interview of the candidates. 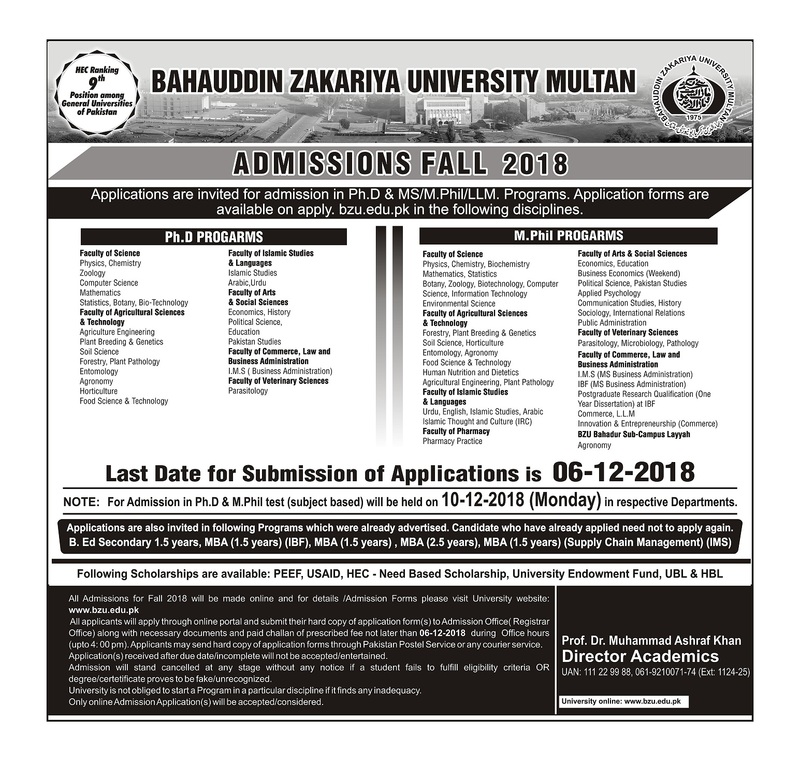 The candidates can get the detailed information of admission process, entry test and interview, which are shared with them through the website of the BZU University. 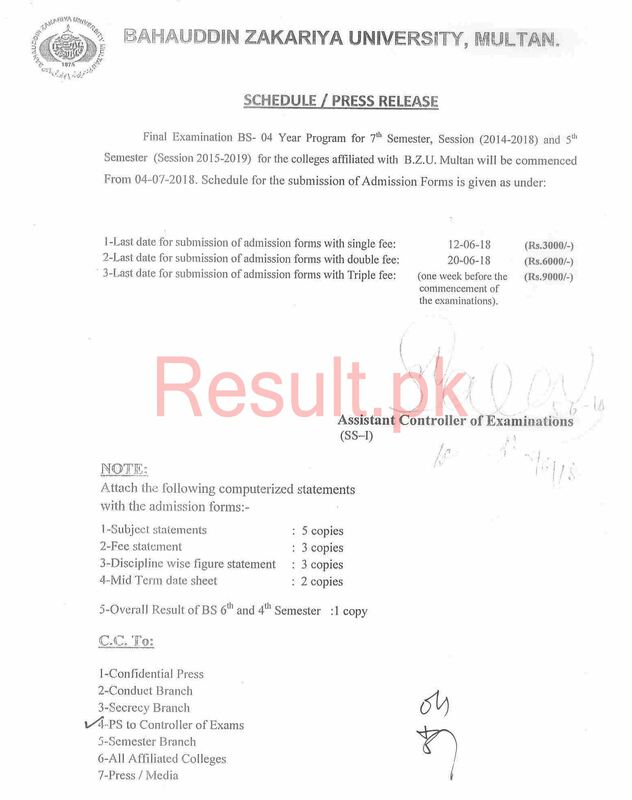 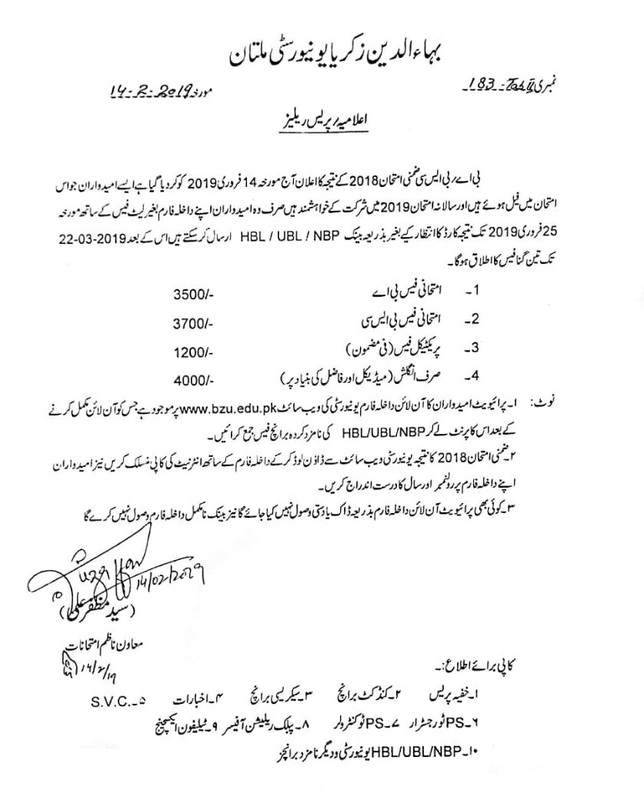 The students, who want to appear in the annual exams, they need to submit their admission forms so that they can prepare their papers and appear in the exams. 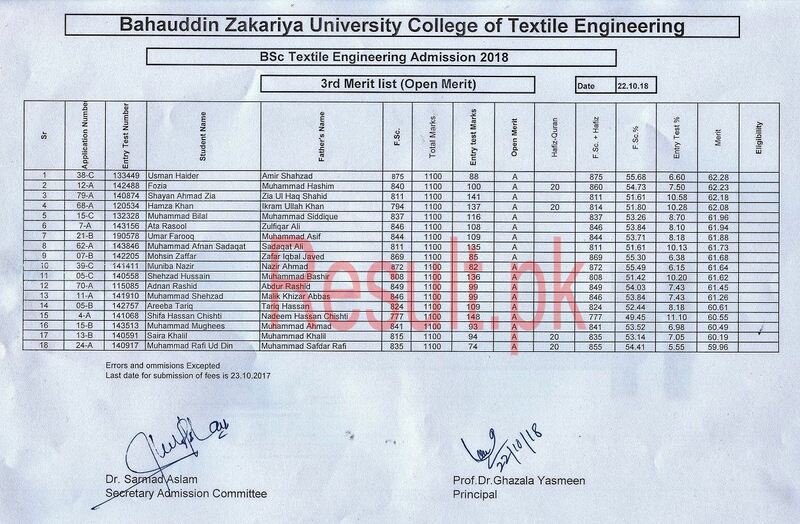 sir BA k admission ki last date kia hy? 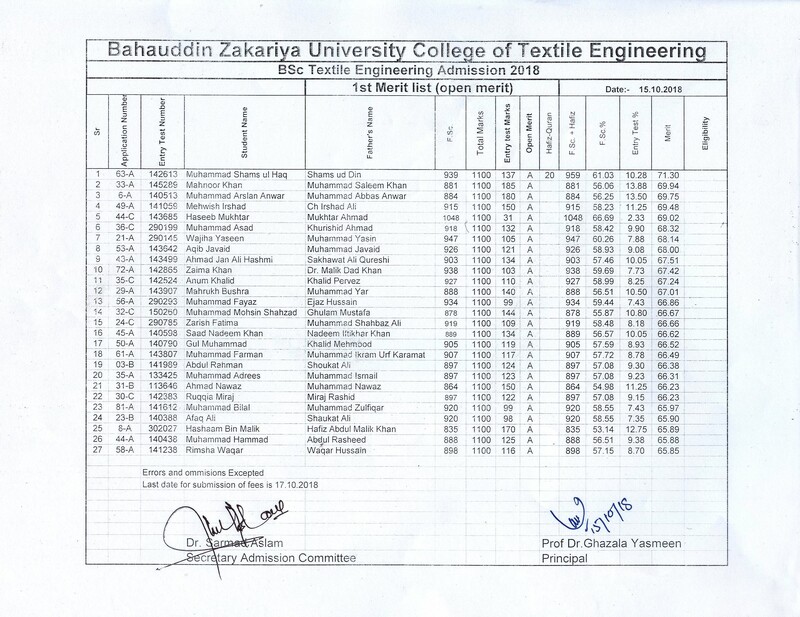 Aor fees b bta den? 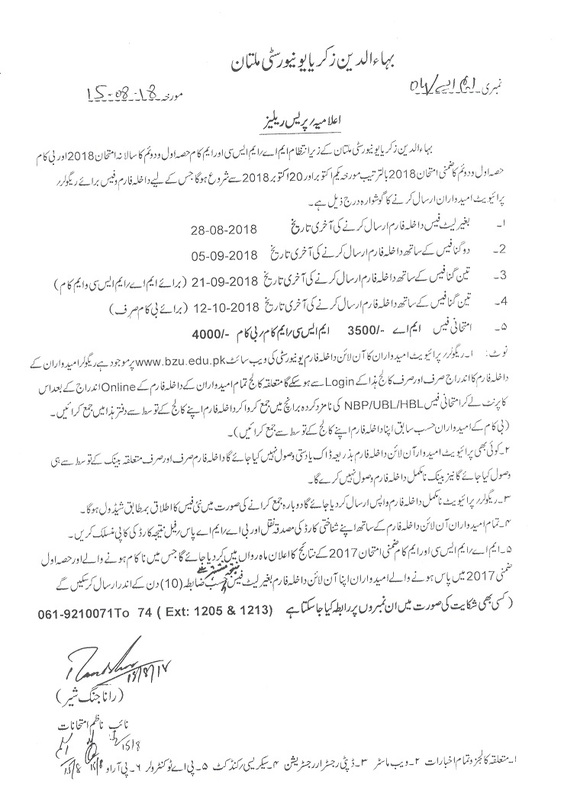 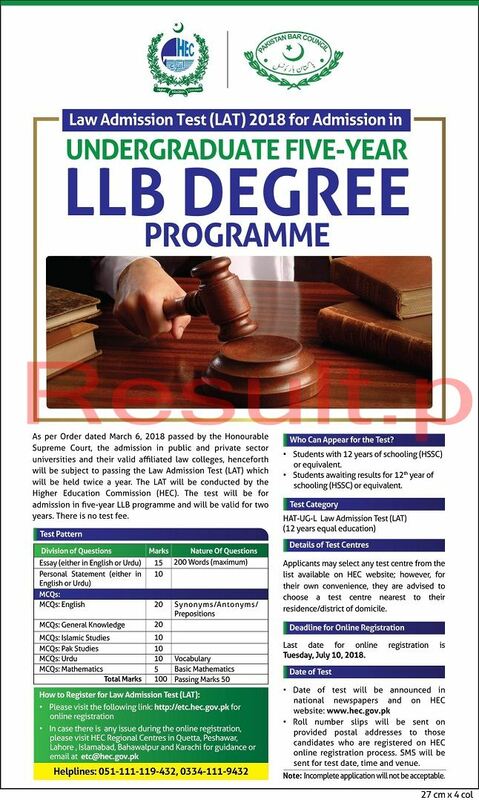 I want yo get admission in Llb 5 years programme plz provide ne complete detail. 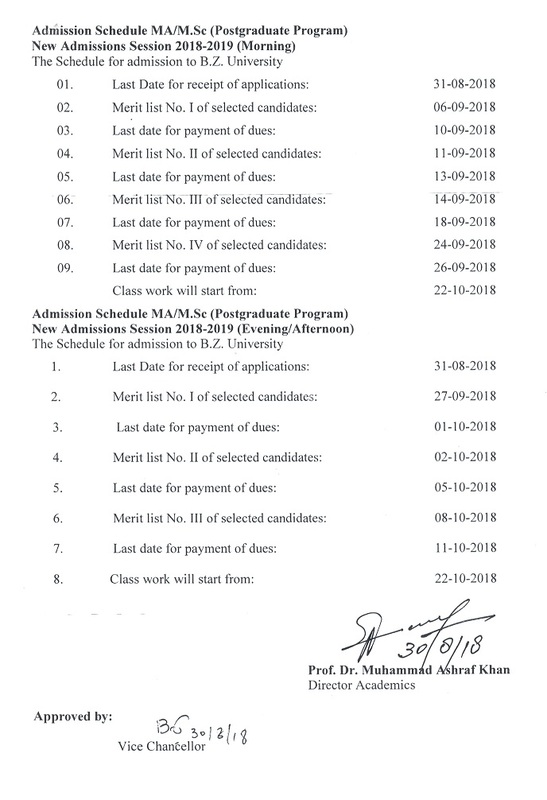 Sir I want to get admission in M-Phil math.Kindly send me all information about admission.IS it must to give gate test? 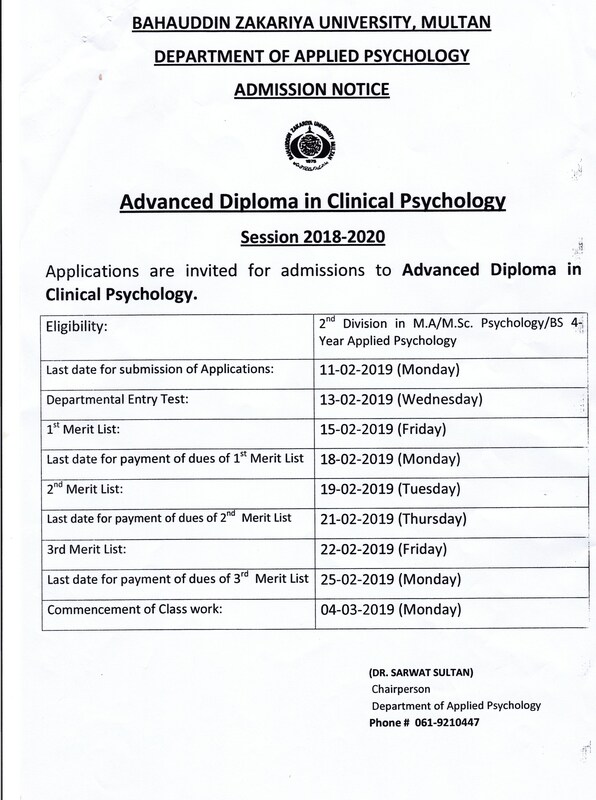 M.phil application k liye last date kya hai???? 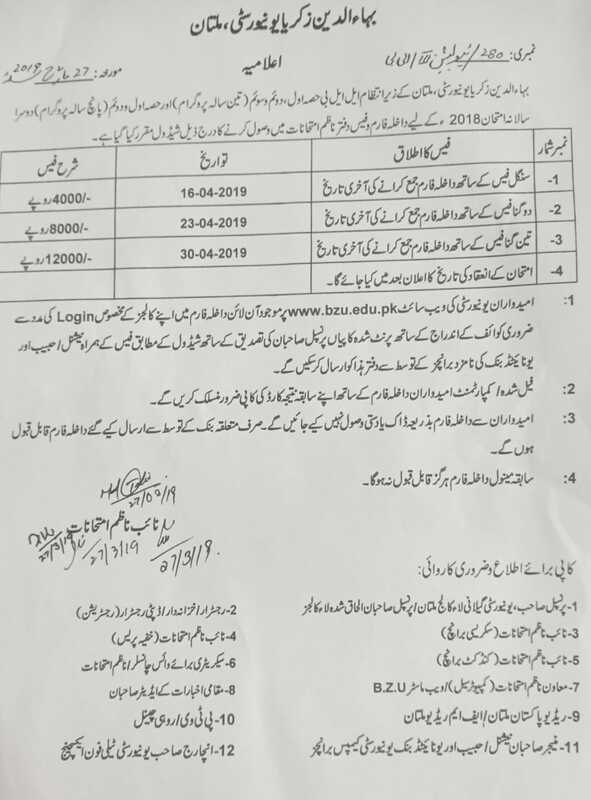 How many students are there in bs zoology and botany department in BZU Multan? 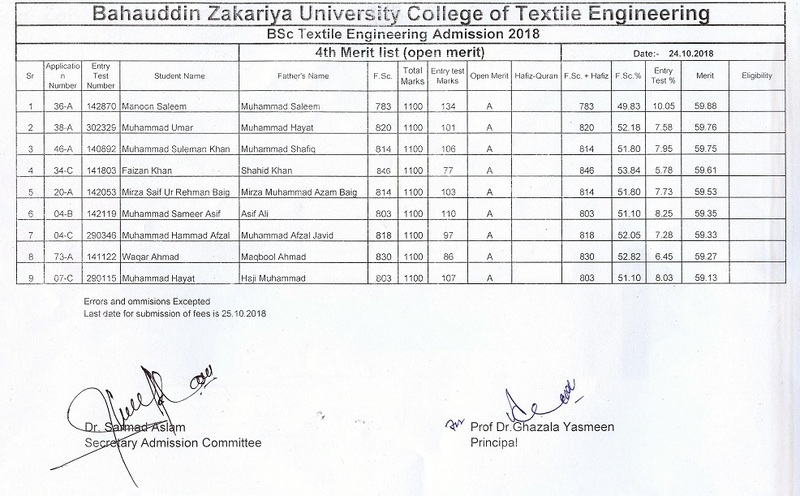 I have got 937 marks in Fsc. 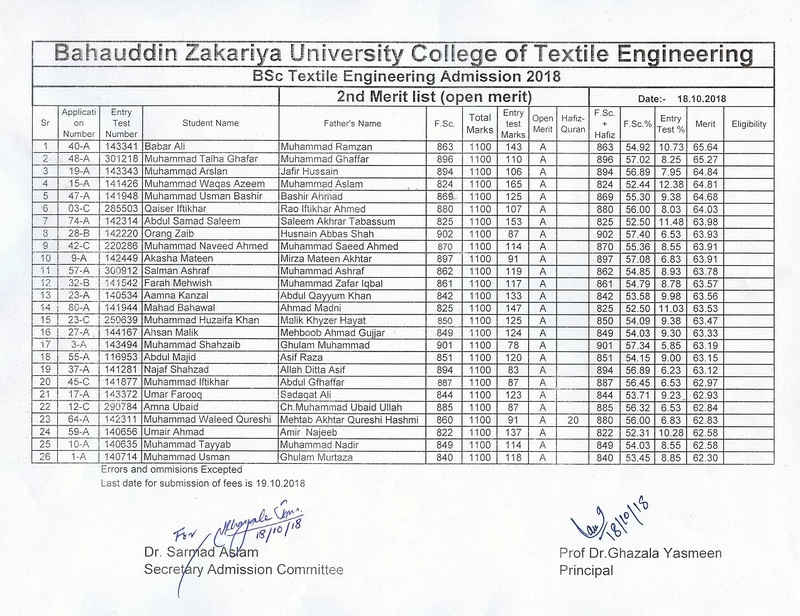 Am i elligible to get addmission in Bs Zoology or Botany In BZU Multan? 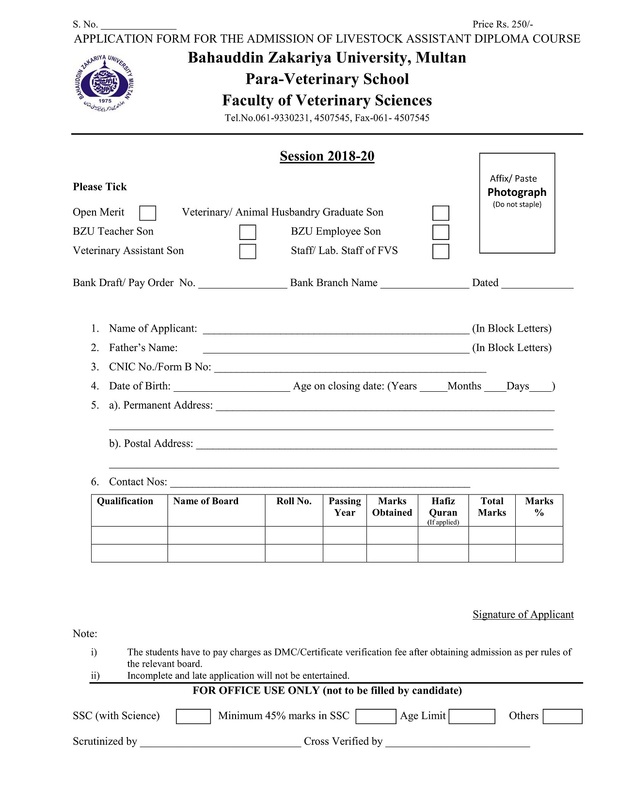 DEAR SIR,I WANT TO GET ADMISSION IN BS, POLITICAL SCIENCE.WHAT ARE THE PROCEDURE TO SUBMIT THE FORM. 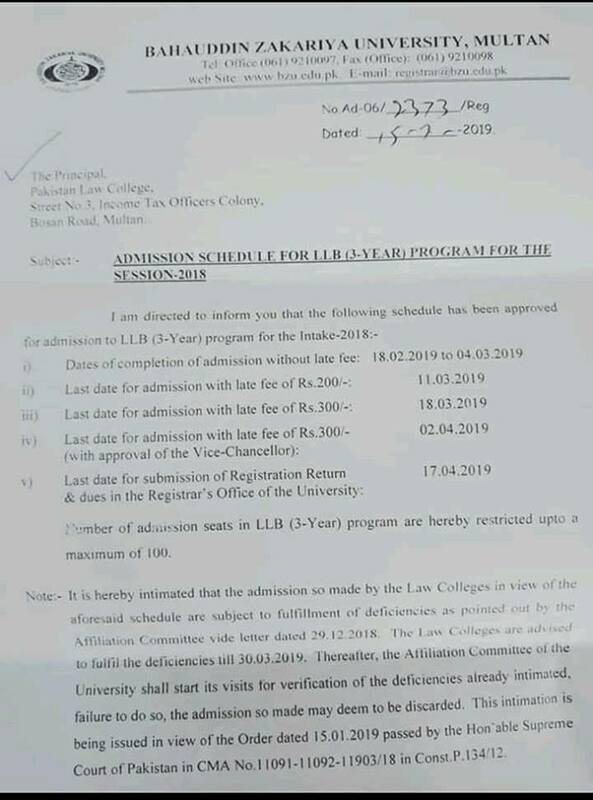 Assalam o alaikum Dear respectable sir I want to get admission in llb 5 year in Bzu Multan . 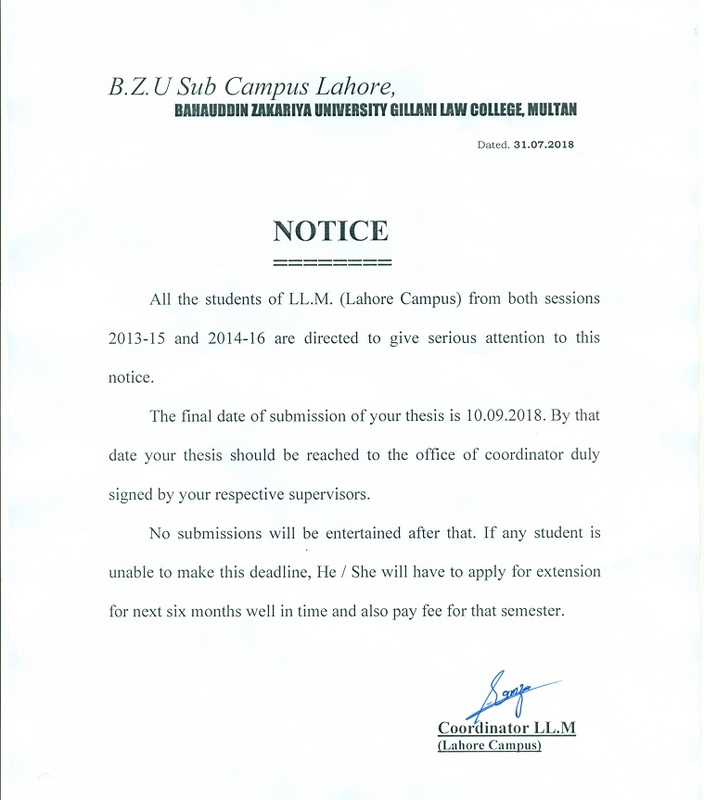 Please kindly inform me some information about LLB admissions. 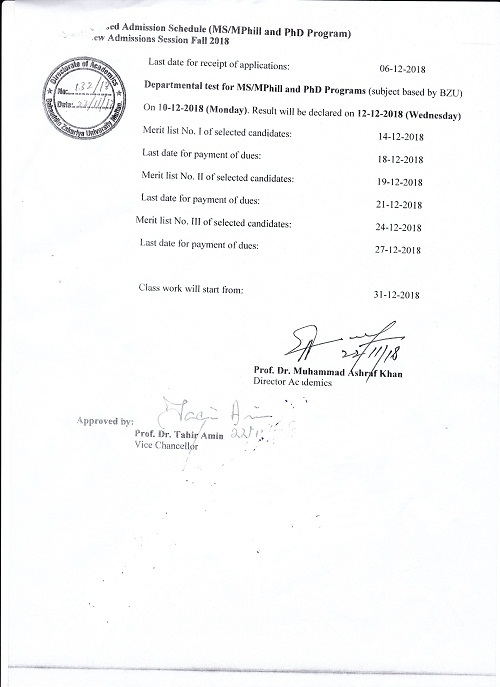 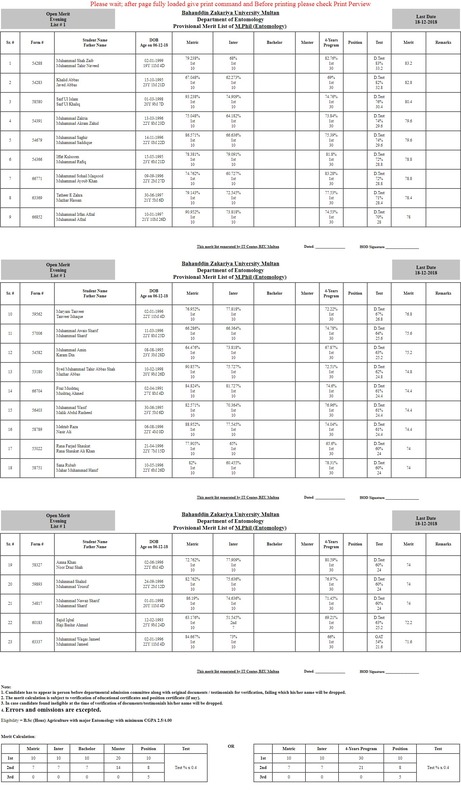 i want to apply in BS PHYSICS..help me..and send me link for online admission.... and my fsc marks are 935..AM i abble to get admission in BS PHYSICS? 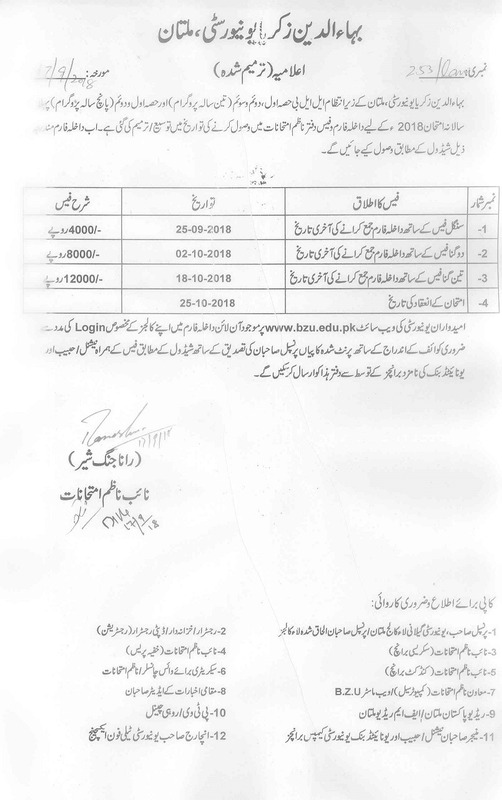 I want to get admission in bzu . 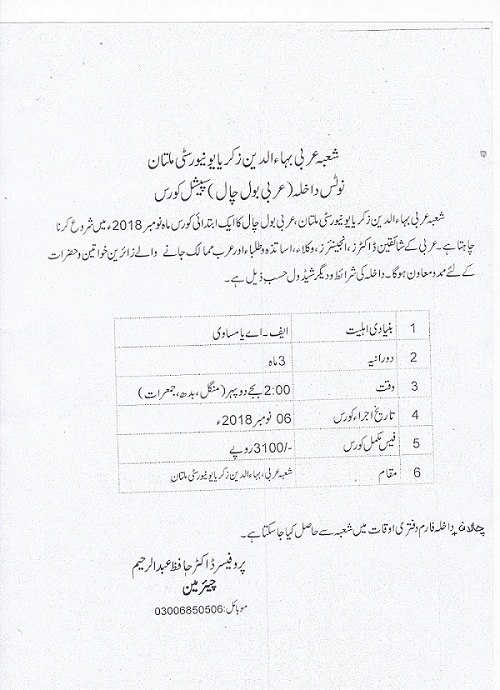 please guide me.Inform me about information details thanks. 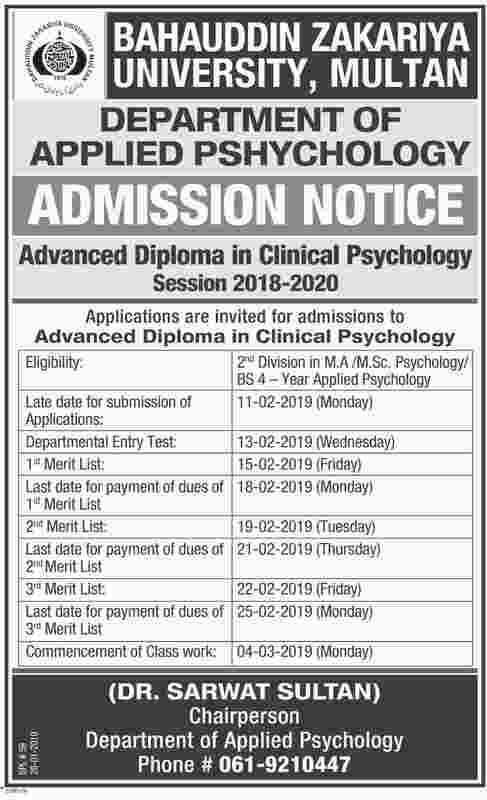 I want to take admission in BS Programme. 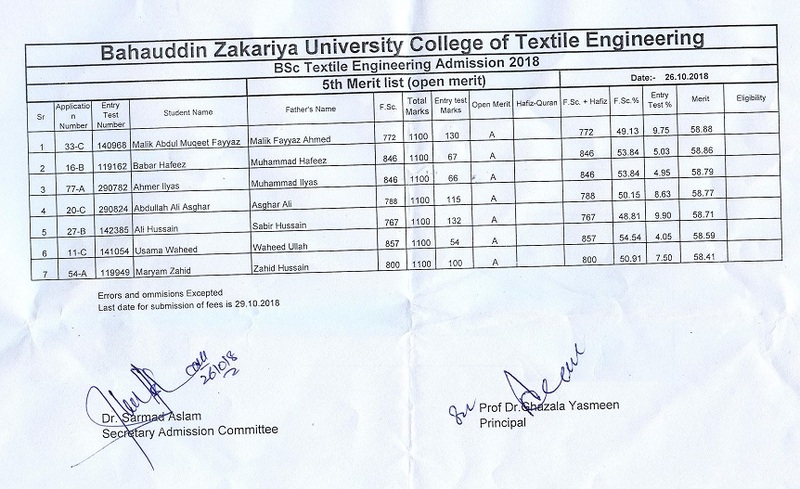 I want to get admission in Bzu .It is one of my burning desire. 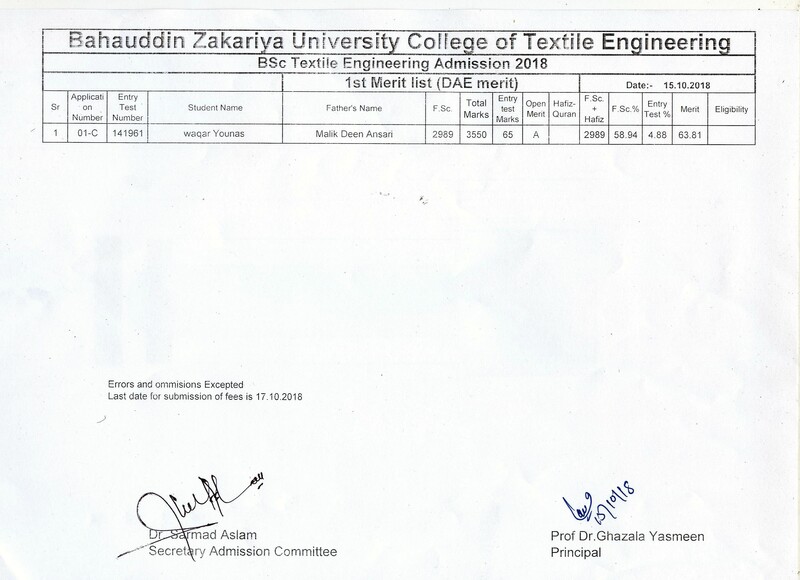 I want admission in LL.B 3year programe. 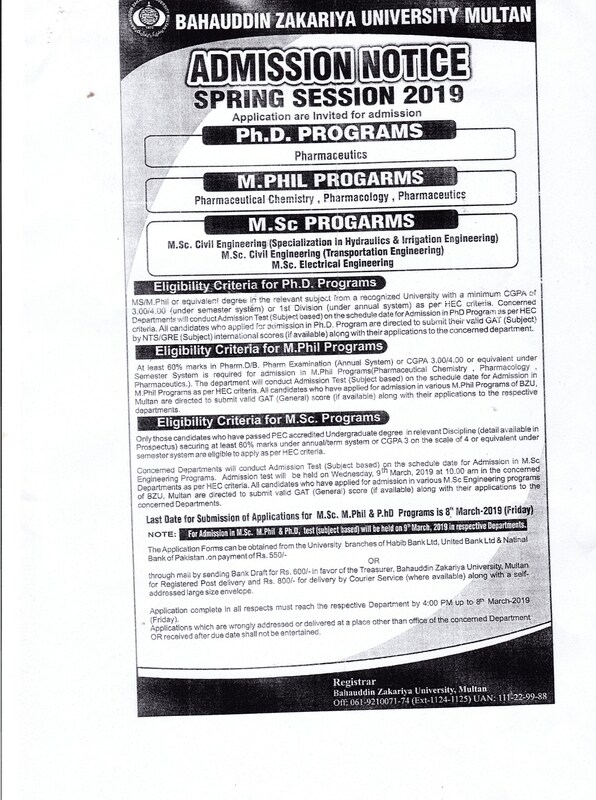 I want to apply for mphill chemistry plz guide me. 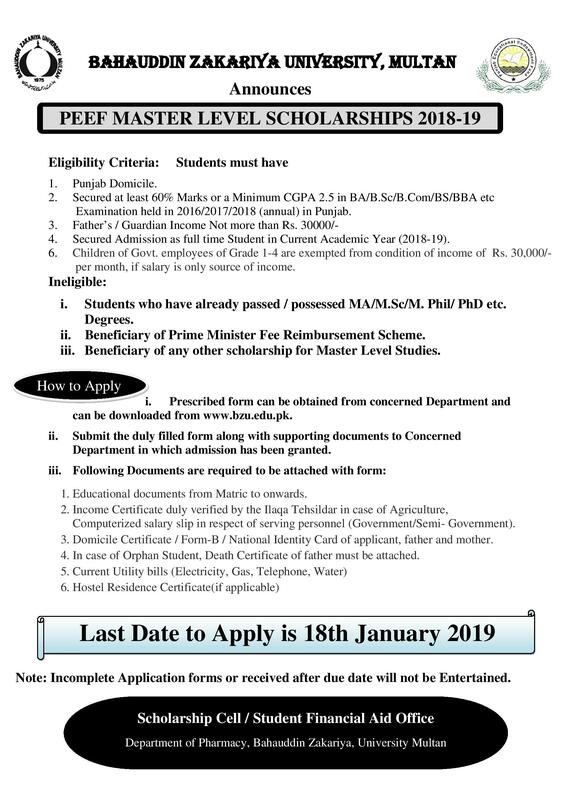 Dear Sir , I want to know details about merit lists Ma , Msc 2018. 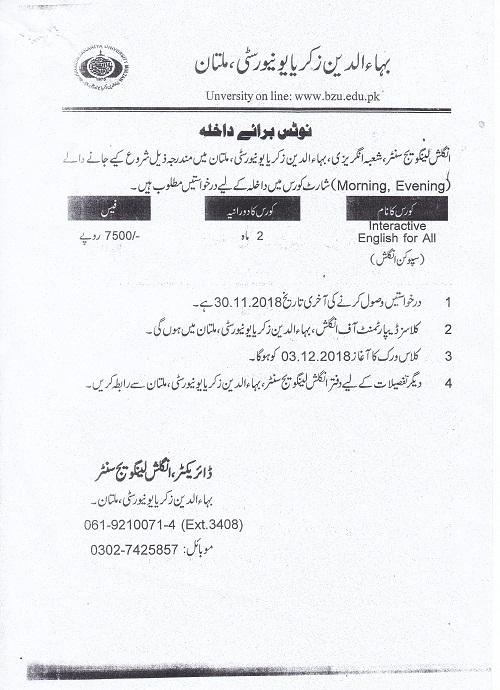 I want to admission in bs english of bzu multan.plz guide me about the merit of bs english and fee structure and admission when opened. 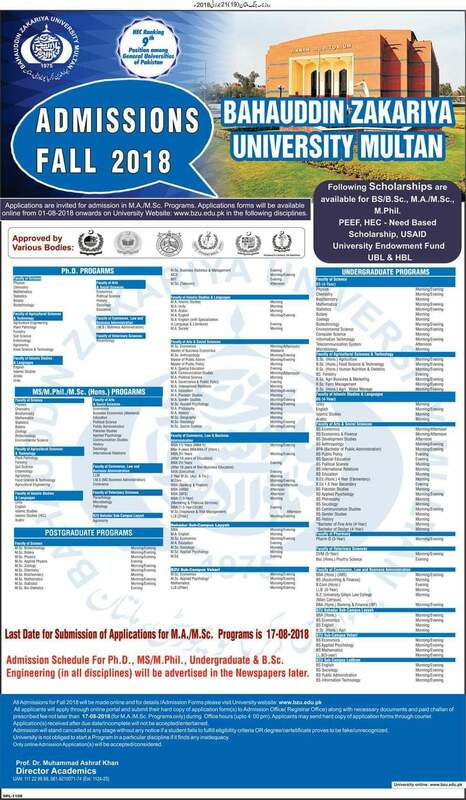 I would like to admission in this uni .plz guide me.